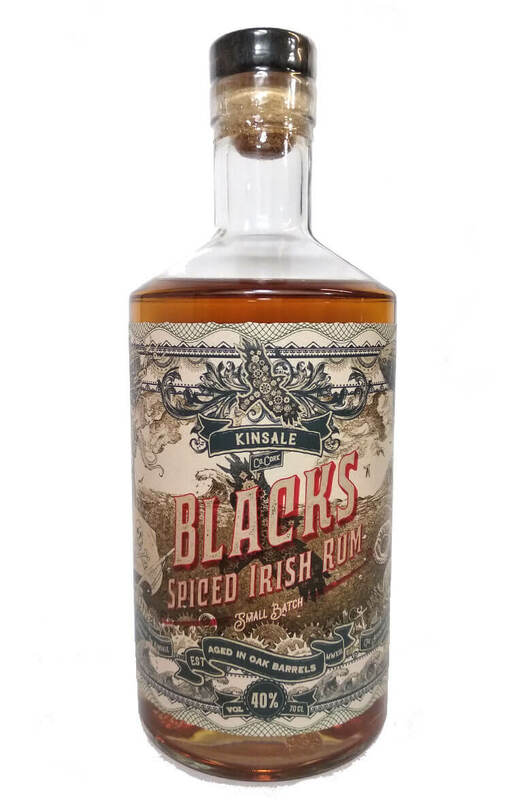 A superb spiced rum from Blacks of Kinsale. This was distilled in Kinsale using 100% Sugar Cane Molasses and then aged in Ireland in oak casks. This batch has been tempered with 7 carefully selected spices and is best served with ginger ale, cola or on the rocks.